A workshop to educate youth on Right to Information Act was held in Batticaloa. 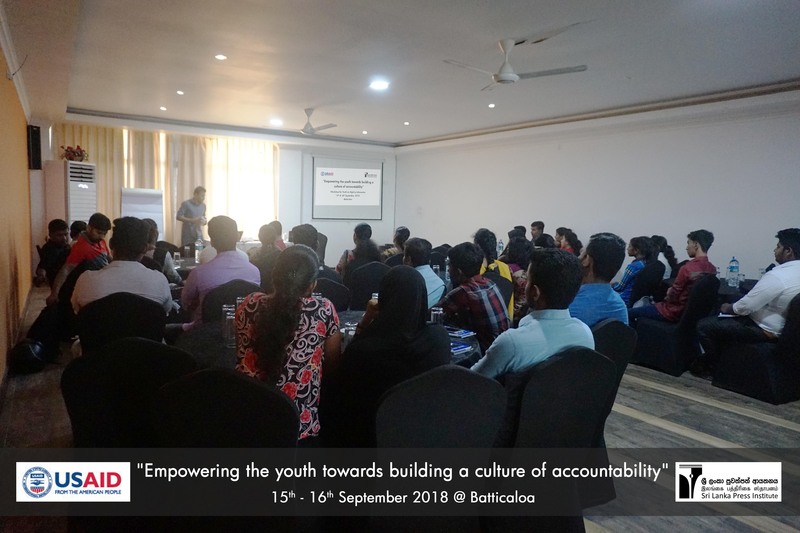 This was organized by Sri Lanka Press Institute and funded by USAID under Empowering Youth in Building Culture of Accountability in Sri Lanka project. The workshop was held on 15th and 16th of September at Hotel East Lagoon View. There were 44 youth participants between ages 17-29. They had interactive sessions on how to write RTI applications, appeals etc.